The Peavey ValveKing 212 Combo is an all-tube guitar amp combining boutique features and hot-rodded tones with legendary Peavey reliability. The Peavey ValveKing 212 Combo features a patent-pending, variable Class A-A/B control called Texture™, which allows sweepable selection between Class A and Class A/B power structures, as well as any combination of the two. With this exclusive feature, guitarists can coax virtually any tone from this tweaked-out amplifier. 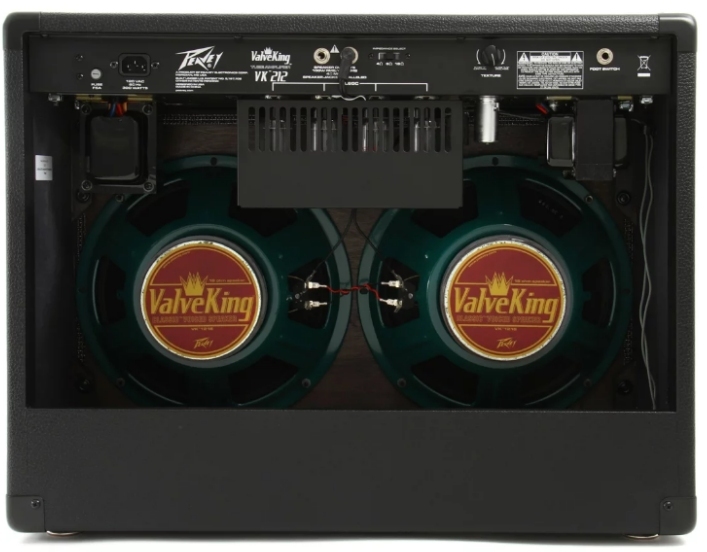 The Peavey ValveKing 212 Combo’s preamp and power sections are powered by 6L6GC and 12AX7 tubes, respectively, and drive specially voiced 12-inch ValveKing loudspeakers. The Peavey ValveKing 212 Combo’s features include two footswitchable channels with independent, three-band EQ and volume, plus a footswitchable gain/volume boost on the lead channel to provide extra volume for solos. 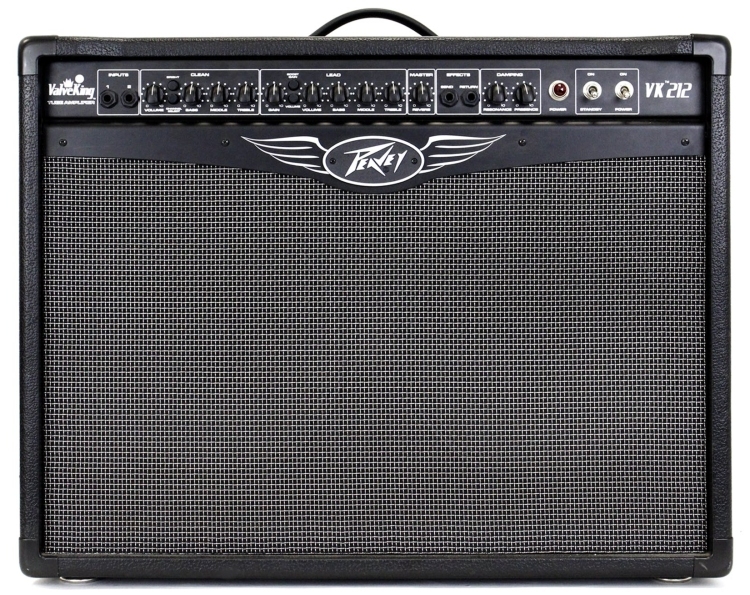 Peavey ValveKing 212 Combo also features global resonance, presence and reverb controls, a buffered effects loop and dual speaker jacks in parallel.